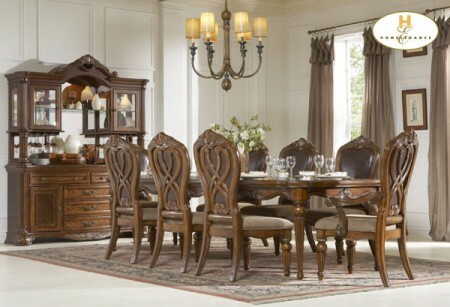 The Golden Eagle collection presents dining room set with great traditional style and high quality. 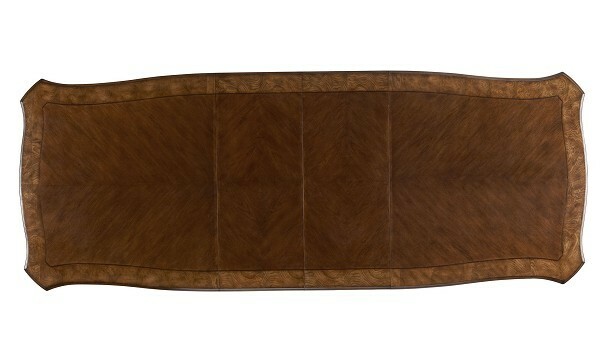 Large expandable table offers two eighteen inch extension leafs so there’s plenty of room for a company. Comfortable chairs feature brown leather backs and beige fabric cushioned seats. Also available is a china cabinet with tons of storage and display area inside. Constructed of detailed carved-out solid wood this set offers rich caramel finish and durability.